We will hold our (short) Annual General Meeting to receive updates and elect the committee for the coming year, followed immediately by the talk. Nomination details will be sent to members ahead of the meeting. Carl Murray is Professor of Mathematics & Astronomy at Queen Mary University of London. He did his BSc and PhD at Queen Mary before doing a postdoc at Cornell University in 1980-82, and has been at Queen Mary since returning from the US. His main research is in Solar System Dynamics and he is interested in how the objects in the Solar System move, from dust particles to planets. In 1990 he was selected as a member of the imaging team on the Cassini spacecraft, part of the Cassini-Huygens mission to Saturn which was launched in 1997 and arrived at Saturn in 2004. He analyses Cassini images in order to study the rings of Saturn and their interaction with the small moons orbiting nearby. 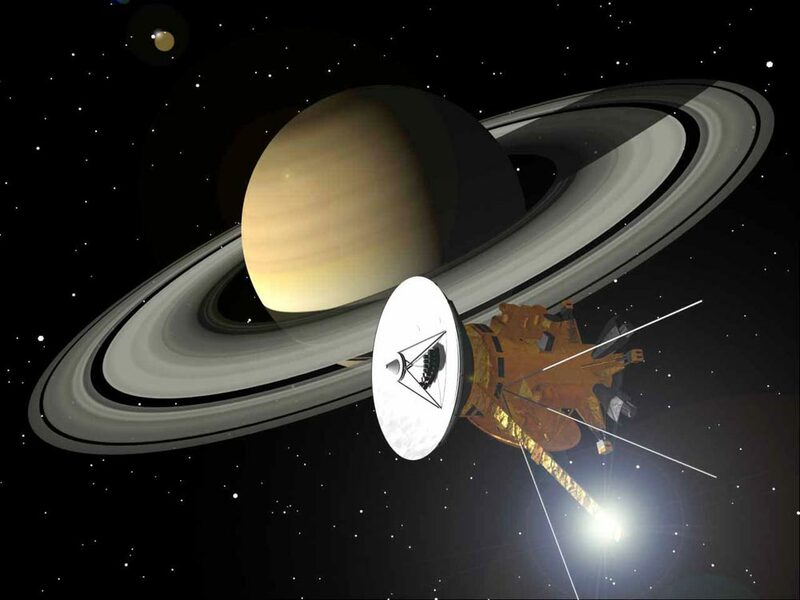 The talk will focus on the wealth of images returned by Cassini with an emphasis on the rings and small moons. There will be some background about the mission, its scientific goals and the research highlights to date. The talk will also describe the spectacular end of the mission in September 2017. Anyone is welcome – beginner or expert – and there is no need to pre-book. A small charge applies to help us cover costs (typically £3 for non-members; £2 for members; U16s free). Doors open at 7.00pm with the AGM at 7:30PM and the talk starting at approximately 8.00pm.